With January almost under our belts, many of us are casting our thoughts ahead to the lazy hazy days of summer that are not so very far away. And, naturally, vacation destinations are something many of us are contemplating. For those who love Cognac a visit to our region is probably well over due. Or perhaps you’re longing to return for further exploration. Either way, it’s great to combine the love of our favorite spirit with some of the exciting activities that are available in our wonderful corner of South West France. For a completely different perspective on the historic city of Cognac, why not head to the tranquil waters of the Charente River. The mighty river really is the perfect playground for all the family. And you can do this right from the very city center. The Cognac Canoe Club is located in the Saint Jacques quarter, right next to the main Pont Neuf Bridge. You can hire canoes, kayaks, or stand up paddle boards by the hour. Indeed, an hour’s trip covering 3 km (approximately 2 miles) is the perfect method to see the historic waterside features of the city, as well as many of the Cognac trading houses. There’s instruction if you need it, or many varying experiences if you want something a little more ‘white knuckle’ Or, if you prefer not to expend too much effort, then hire a boat with an engine and putt-putt your way up or down stream. These boats carry up to 5 people, so great for a family outing. Of course, when you’ve finished messing about on the water, you’re going to need a great Cognac to toast your day. And one of our favorites is the A. E. Dor Vieille Fine Champagne XO Cognac. 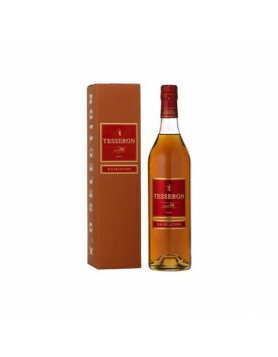 Mature, complex, and perfectly balanced, this is a truly quality Cognac from a house that we rate very highly. 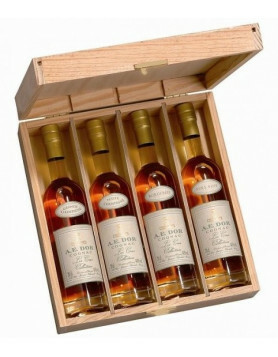 Find out more about the house of A. E. Dor, a Cognac maker that really does cater for the luxury market. There’s something truly romantic about a hot air balloon ride. And doing this over the beautiful Charente countryside will leave you with amazing lifelong memories. Vineyards of Cognac offer just such an opportunity. These take place either at sunrise or sunset, when the rays of the sun cast ethereal shadows over the landscape, and a unique birds eye view of the area opening out below. Seeing the vineyards from the air is something you’ll never forget—be sure to bring your camera. After the adrenaline rush such a tour brings, it will surely be necessary to settle your nerves with a sip or two of a Cognac. And what better than one that hails from the premier cru of the region, Grande Champagne. We’d recommend the Bache Gabrielsen Hors d’Age as the perfect antidote. This multi award winning Cognac is a blend of eaux-de-vie aged between 60-100 years, with the oldest being from the year 1917. This is just one of an incredible range offered by this forward thinking house. Discover the world of Bache Gabrielsen Cognac. The Cognac region really does lend itself perfectly to exploration by bike. With rolling countryside, there’s never a hill that’s too steep to climb, yet there’s enough variation to exhilarate in many, many opportunities to freewheel down a deserted road surrounded only by vineyards. Very handily, there are five sign posted tourist routes, knows as the Etapes de Cognac. Each of these starts in the city of Cognac itself, and explores a different region of the area. The website, Free Wheeling France has some great information and links to other sites where there are even more cycling routes to be discovered. We recommend packing a picnic, which should, of course, included a bottle of the good stuff. The delicious Francois Peyrot XO would be a great choice. It’s won more awards than we can list, plus it’s been produced with absolutely no chemical intervention whatsoever. So you can sip away with a clear conscience, not only that you’re drinking an eco friendly Cognac, but that you’ve also had no carbon footprint at all, thanks to carrying out your explorations by bike. Discover more about the great range from Francois Peyrot. This is a car race to end all car races—especially for those who have a penchant for Cognac. It’s an annual classic race, taking part over a whole weekend around the old twisting roads of the delightful town of Angouleme. 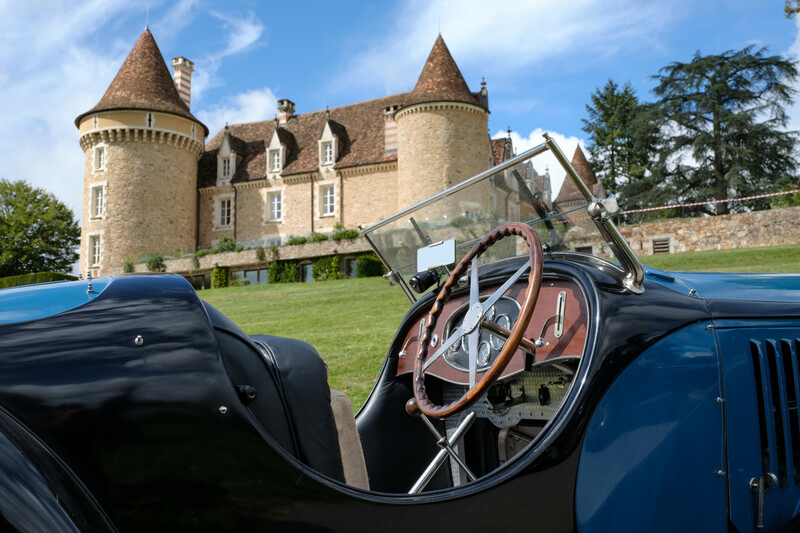 Known as the Circuit des Remparts d’Angouleme, this is an unmissable event for anyone who enjoys classic cars. The 2019 event takes place on September 13, 14, and 15th, and is celebrating its 80th year. 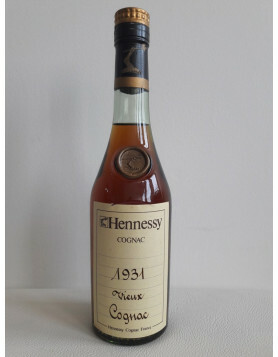 And naturally, a classic event such as that deserves a classic Cognac to go with it. Delamain’s XO Pale and Dry is a wonderful choice. Intense, rounded, fruity, yet mellow, is delicious medal winning Cognac from a house that can be traced back to the 1600s. Discover more about the delights of Delamain Cognac. What can we say? The French take their rugby pretty damn seriously! Of course, you can join locals in any self-respecting bar when their national team is playing. Order a pression (draft beer), and immerse yourself in French culture, whilst urging on with the cry of, “Allez les Bleus” (Go the blues). Or, when in Cognac, why not cheer on one of the local teams, such as the Union Cognac St-Jean-d’Angely. Check them out on Facebookto find out their upcoming fixtures. Of course, you may well prefer to order a Cognac, rather than a beer. And your perfect partner in such a situation has to be the Roullet Reserve de Familie, a truly incredible blend of Fins Bois eaux-de-vie from deep within this historic family house’s Paradis Cellar. If you’ve yet to discover the delights of Roullet Cognac, then it’s time you did, because this really is a Cognac house the connoisseur needs to become familiar with. The Atlantic region is work-renowned for it’s amazing surf. And the beaches of the Gironde are easily accessible from the Cognac region. For experts and beginners alike, the hundreds of miles of coastline offer amazing surfing opportunities. There’s surf schools if you want to learn, or simply need to hire some kit. Or for the kids, why not grab a boogie board and head into the waves for a spot of body surfing. Of course, after a day in the salty breakers, what better way to warm up than with a Cognac that’s one of Max’s all time favorites: The Marancheville XO Grande Champagne. It offers wonderful value for money for such a quality, and we have to say that its presentation is delightful. A great Cognac to discover the delights of rancio—that much misunderstood mushroomy, earthy taste that only appears in a Cognac that’s truly well aged. Discover more about the sensation that’s sweeping the world of Cognac, Marancheville. This is only a small selection of the great sport and leisure options in the Cognac region. Be sure to check out our article, Hiking, Fishing, Golfing in Cognac: And Visiting Nearby Producers While You’re At It. Hiking, Fishing, Golfing in Cognac: And Visiting nearby Producers while you’re at it! Try any of the Hardy Cognac expensive products Noces d’Or, etc. Excellent, they go perfectly with a fine cigar. The new Legend is a very smooth Cognac, at a reasonable price.